While you were busy working or studying, Snapchat developers worked hard to design these 5 new lenses for your entertainment. These are five of the best Snapchat lenses/ filters we have ever come across. That’s why we have decided to share their review with you. Hope you’ll like them too. Note: – We are using the term “lenses” instead of Snapchat filters because they are technically lenses and not filters. Although some may feel like Snapchat filters, it doesn’t mean that they are less than any AR lenses that are available. If you are Pokémon fan like me and love to show your goofy side to others, this is new Snapchat lens will keep you entertained for a long time. Here’s what it does. The “Who’s That Pokémon?” lens created by Dave G. provides you with an audio cue where you can play goofy in front of the lens. Just make sure that you don’t spill your coffee on your laptop like I did while trying to use Who’s That Pokémon? Try it and you’ll enjoy it for sure. Do you remember the epic sax meme that was insanely famous a couple of years back? This lens is inspired by epic sax guy. Epic Sax Man fixes a 3D saxophone in your mouth. The lens plays the amazing tune while you play with the instrument. Try to know the feeling. There’s a deep meme culture growing around the show Curb Your Enthusiasm. And that’s why Simon Tibblin has created a filter-like new Snapchat lens called Curb Your Enthusiasm. The lens consists of an event that starts with a music and at the end includes the text “Executive Producer Larry David”. Go for it if you are not offended by memes for Curb Your Enthusiasm. Remember the annoying “Filthy Frank”. Although the character has retired, his memes are still enjoyed. It’s Time to Stop lens is one of the best examples of his ongoing popularity. It is created by Lucas and the lens includes full audio from a scene where the character shows up at your screen and yells at you. The quality of lens is admirable and clearly shows us the advancement of Snapchat features. You can certainly have a laugh while using this lens. Everyone knows the ‘Yodeling Walmart Kid’ that became viral on YouTube on April Fool’s Day. Although, it was not created as a joke, people received it amusingly. Anyway, you can enjoy the ‘Yodeling Walmart Kid’ on Snapchat with this new lens. The lens is created by Eddie Waitman and you will have a good time with it. Here’s an amazing way to poke fun at conspiracy theorists who support Illuminati’s existence. The lens ‘Illuminati Pyramid’ is created by Daniel and includes a pyramid. Try it to enjoy the experience. How funny is it to see your friends staring at your screen waiting for your snap to load? The “Loading Screen Freeze Frame” built by eleventigers can make a mockery out of your besties. The Snapchat lens shows a buffering screen similar to the one you see in Apple devices. Trick your friends who like using Snapchat with the lens and capture their reactions when they see the screen freeze. As the name implies, ‘No One Cares About Your Fornite Wins’ lens was introduced to poke fun at people who post about their Fortnite wins on the app. As sarcastic it can be, the filter-like lens allows you make fun of your friends who are obsessed with Fornite wins. I mean who cares! This funny lens is created by Carly Cordero. That’s all folks! You can try out these great lenses at your leisure time. These lenses show how Snapchat features are evolving every day. 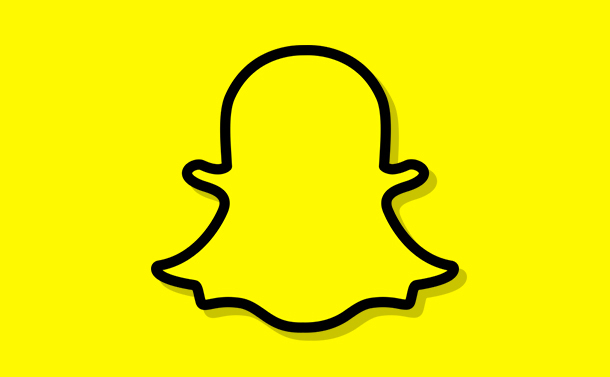 Also stay tuned for the latest trends on Snapchat and other technologies.